Contemporary nursing in all disciplines focuses on the concept of person-centred care, and how this improves patients’ experiences. 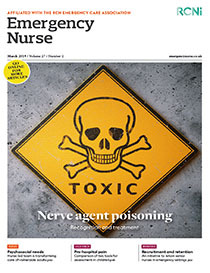 This article defines person-centred care, and considers whether it can be upheld in emergency departments, which are facing unprecedented pressures, and in which staff resilience and morale are challenged continually. Share article: What is person-centred care and can it be achieved in emergency departments?